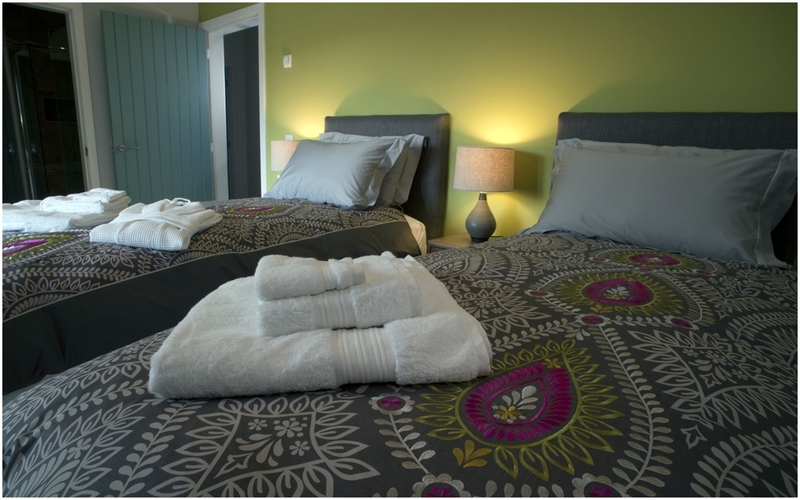 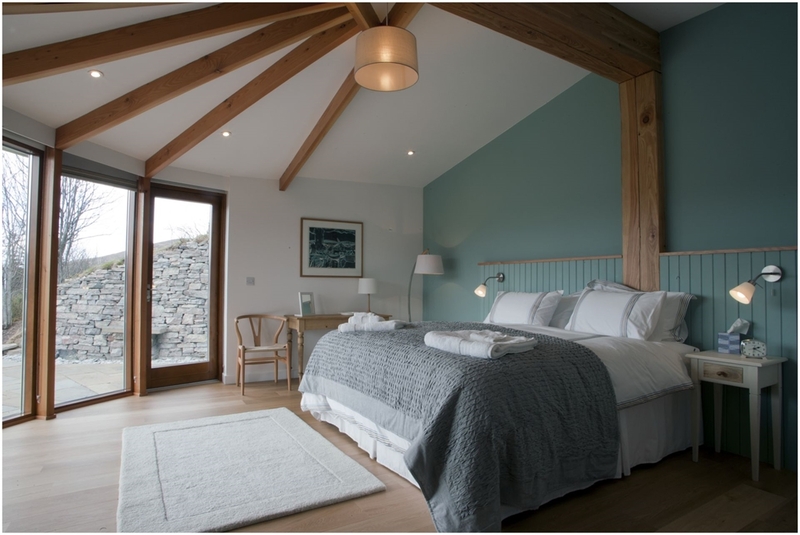 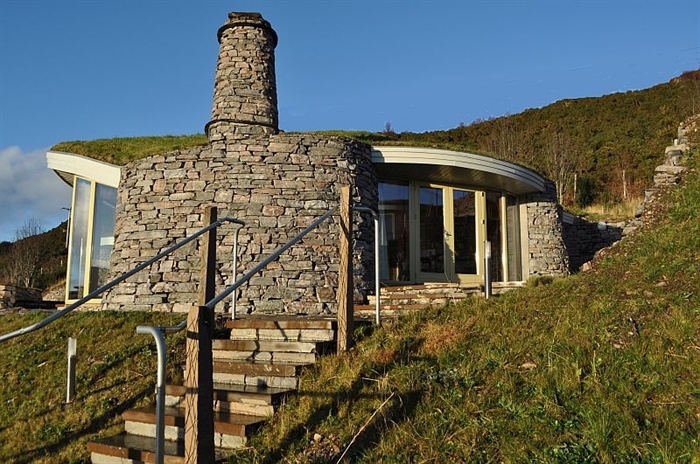 The Stonehouses are two unique luxury retreats located within a 10 minute walk of the vibrant village of Ullapool and in the heart of the scenic NW Highlands. 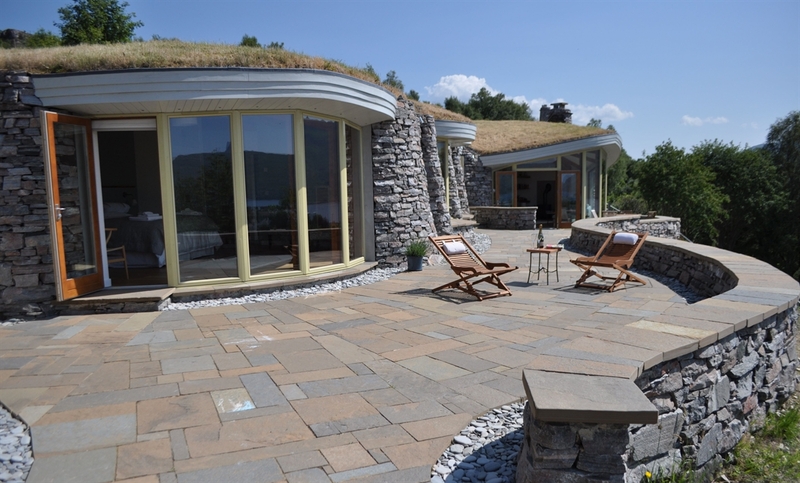 Perched on a hill, they have panoramic views across sea, mountains and islands. 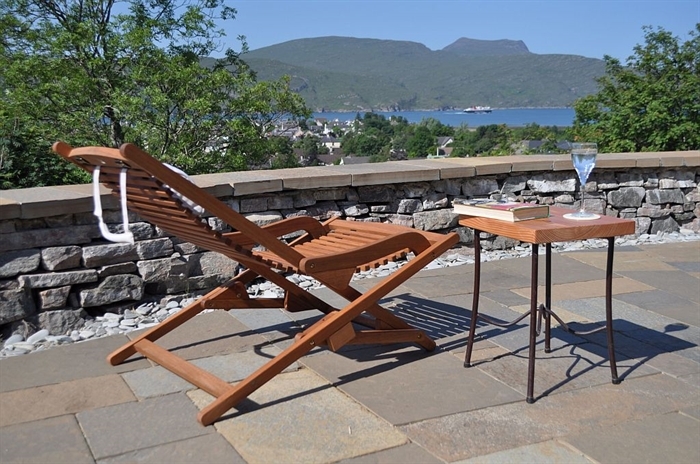 The Stonehouses are two luxuriously equipped retreats with panoramic views across Loch Broom and out to the Summer Isles. 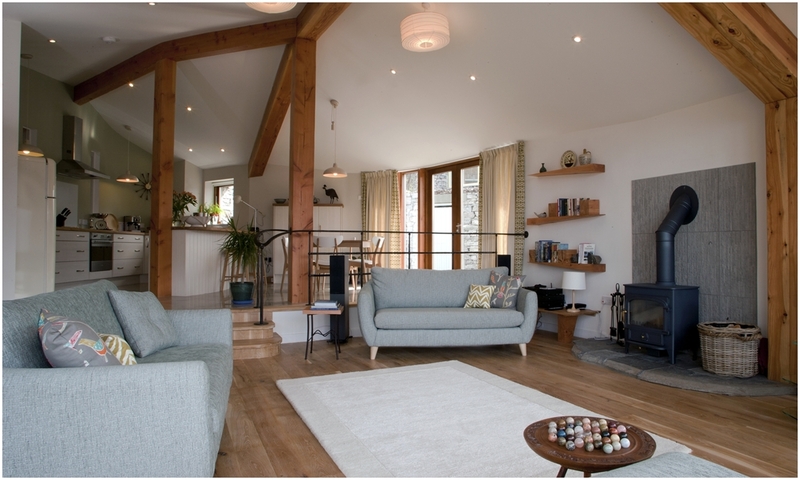 They are spacious, yet cosy, with full under floor heating and wood burning stoves in the open plan living areas. 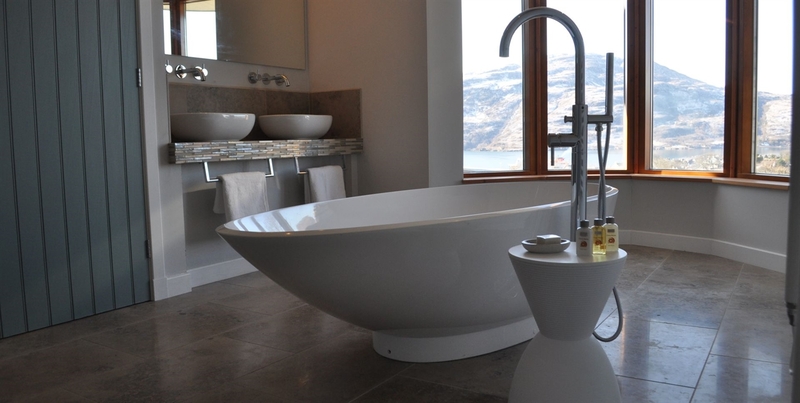 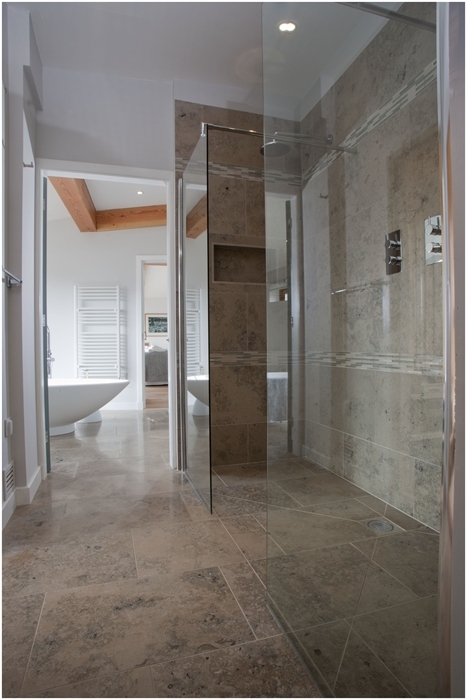 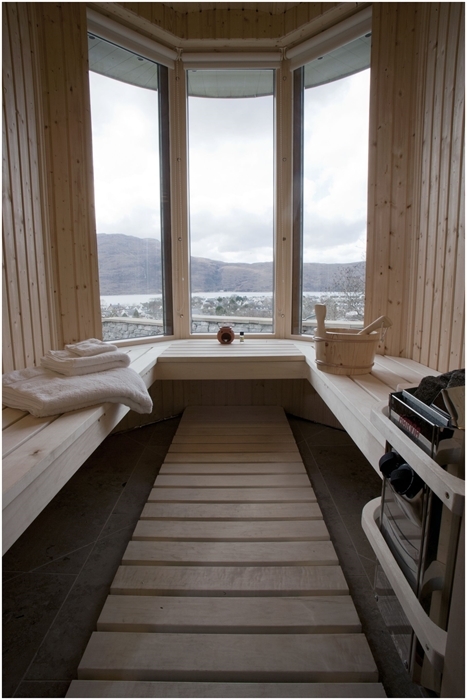 The houses include spacious saunas, and luxury freestanding baths. 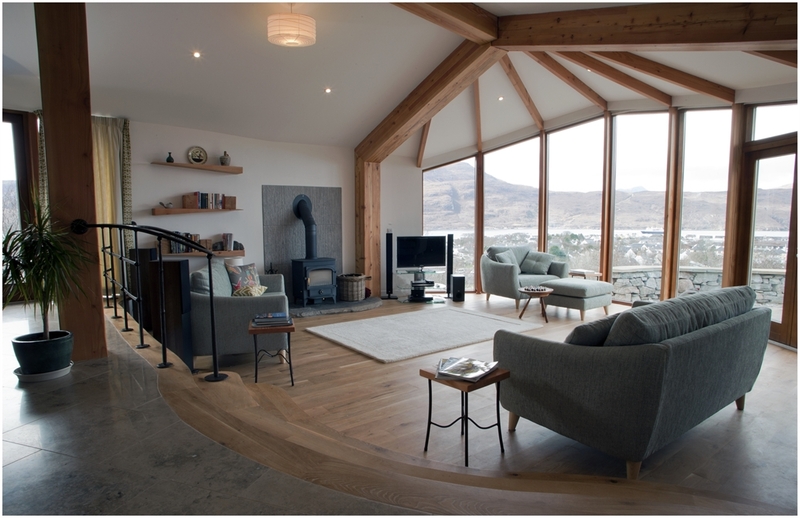 Built by ourselves, Gavin and Rachel Anderson, and a team of local craftspeople and artisans, the houses were designed by a local Hebridean architect with the aim of bringing together traditional building techniques with modern design and environmental considerations. 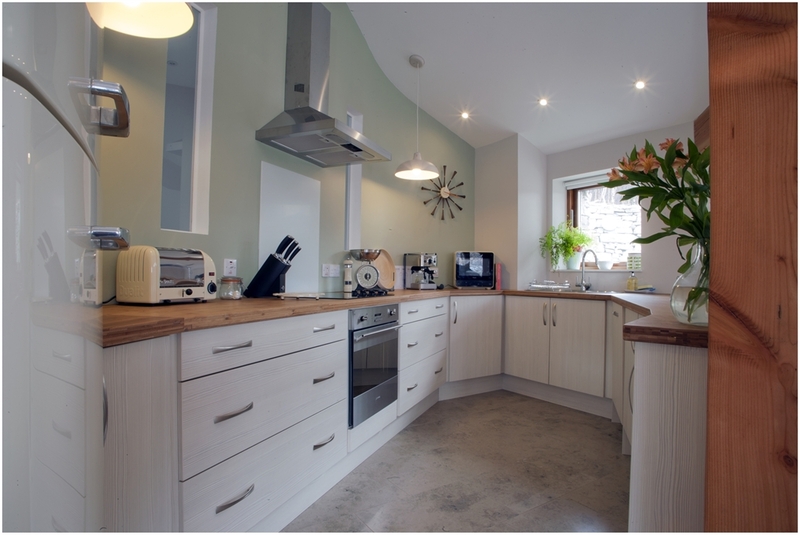 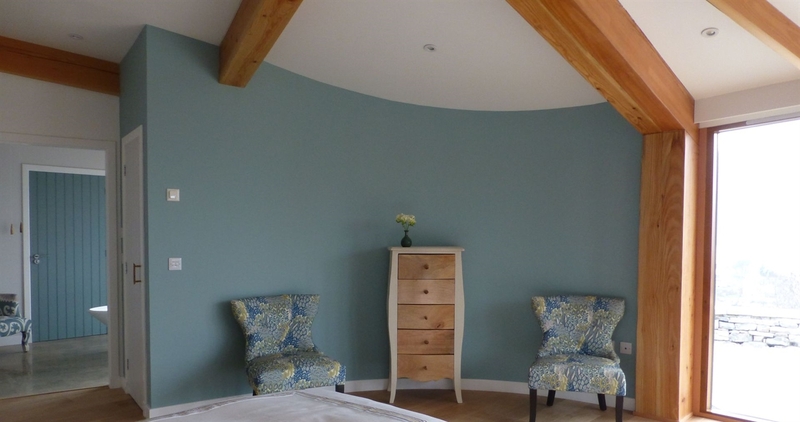 Curved Stone House: A luxury 2 bedroom house ideal for couples or families (sleeps up to 4). 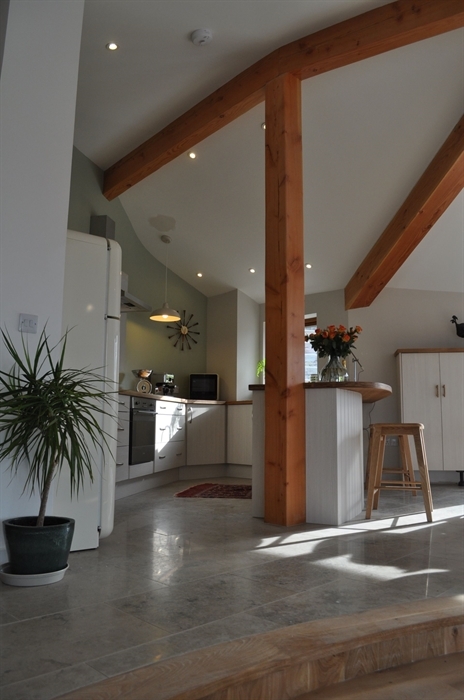 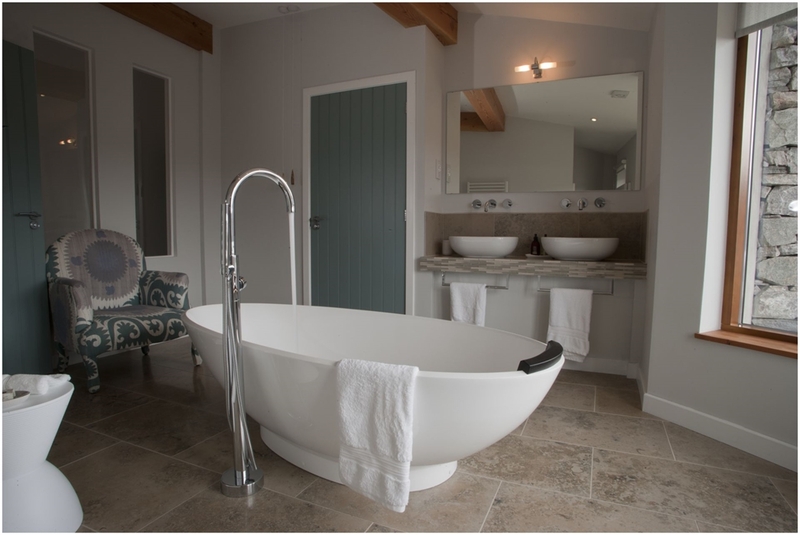 Features a luxury sauna, freestanding bath, under floor heating and cosy wood burning stove. 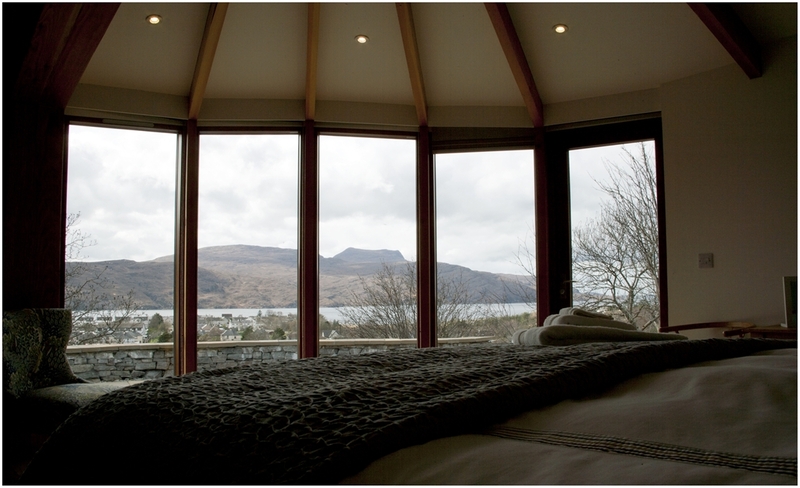 The large external spill out spaces have panoramic views across Loch Broom to the Summer Isles and beyond.